Just as in other fields of healthcare and the wider world, technology is having an incredible effect on the world of dentistry. 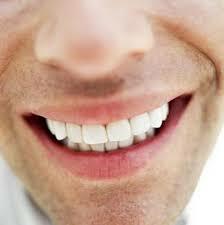 Our dentists are always looking to use new technology to improve the standard of dental treatment. New devices and tools are being developed all the time aiming to make treatment more effective and efficient, not to mention more comfortable for the patient. One of the most incredible new dentistry tools to have been developed is Cerec. This is a revolutionary new system of making dental crowns, veneers and inlays that is set to change the face of dentistry.Cerec is revolutionising the way dental treatments are being carried out and offer a glimpse into the future of dentistry. Cerec utilises CAD/CAM technology, which stands for computer-aided design/computer-aided manufacture and is vastly improving both the speed and quality of dental treatment. Cerec technology has been made possible by the development in other areas, such as digital x-rays and three-dimensional imaging. This allows dentists to create an exact image of the patient’s teeth, which they can see instantly on their computer screen. Using this image, they can then design veneers, crowns and inlays that can then be manufactured in a fraction of the time. The manufacturing process also utilises the incredible powers of computer technology. Whereas in the past a crown would need to be manufactured in the lab by building up layer upon layer of enamel, a Cerec crown can be milled form a single block in as little as six minutes. This incredibly means that you can go into a dentist’s surgery and have a crown designed, manufactured and installed in the same appointment. For a procedure that could take as long as a month from start to finish in the past, this chair-side surgery represents a huge leap forward.